In today’s world we are faced with countless choices and options. We now meet people from all walks of life, and have no lack potential partners to share a relationship with. Unfortunately, this leads many of us to stray as there are so many attractive people around us. We entertain thoughts about going into a relationship with our various friends, acquaintances and even strangers because it’s a new, refreshing and exciting experience. For many of us, this often results in the inability to remain faithful to one single partner. However, scientific research has shown that monogamous couples are happier, healthier and live longer than those who aren’t. People who find can’t remain monogamous often find themselves unhappy, dissatisfied and empty in the long run. Perhaps you’ve already found the right partner, but are having doubts about whether you can remain faithful. Perhaps you’re uncertain whether your partner can remain faithful to you. Either way, you know that it’s important for the both of you to stay true to each other. Are you constantly worried about not being able to remain faithful to your partner? Have you often wondered if your partner is tempted to cheat on you? Have you always wished to strengthen the bond between you and your significant other? Are you ready to embark on a stable, long-term relationship? We will always meet new and attractive people throughout our lives, and we need to be able to resist the feelings of temptation that come naturally to us, which is often easier said than done. 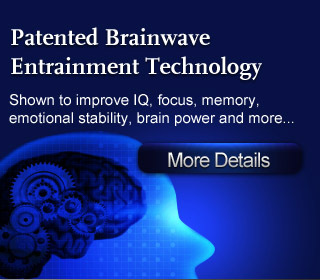 Thankfully, with today’s advanced Brainwave technology, we can literally ‘train’ our mind to want to remain faithful our partner. Once we have internalized and accepted this affirmation, our thoughts and actions will then naturally move along this affirmation to remain completely faithful. No reviews on C08 Staying Faithful Forever so far.